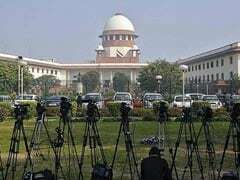 Mohan Bhagwat's is seen to indicate that PM Narendra Modi and the top court's strong remarks against violence in the name of protecting the cow had been "misinterpreted" to point fingers at genuine cow protectors as well. NAGPUR: Cow protection goes beyond religion and "pious" Gau Rakshaks, or cow protectors, needn't worry or get distracted due to "well-intentioned statements" by highly-placed persons in the government or the Supreme Court, Mohan Bhagwat, who heads the Rashtriya Swayamsewak Sangh or RSS, said on Saturday. He suggested that PM Narendra Modi and the top court's strong remarks against violence had been "misinterpreted" to point fingers at genuine cow protectors as well. "People who are criminals and involved in violent activities should be bothered about that," he added, a reference to strong messages from PM Modi as well as the top court against cow vigilantes taking law into their hands. 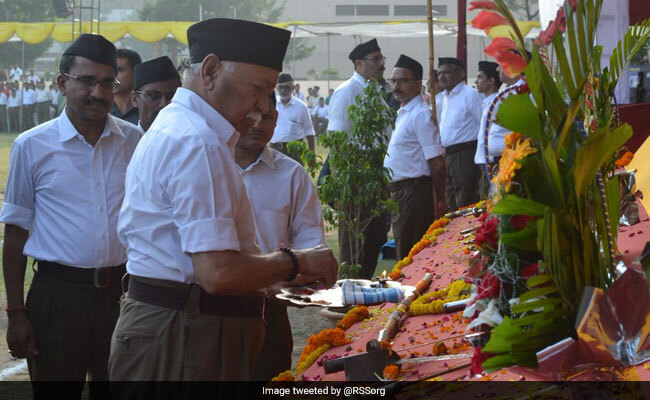 Speaking on the foundation day of the RSS, Mr Bhagwat stressed that probes into recent incidents of violence had made it "amply clear" that cow protectors were not involved. On the contrary, the RSS chief said, "many activists who were peacefully involved in cow protection were attacked and killed" and lamented that this issue was "neither discussed nor being inquired". "It is unfair to link cow protectors or entire activity of cow protection with violent incidents," he said, addressing a crowd of RSS activists at his annual Vijaya Dashami speech in Nagpur. However, he underlined that the activities of cow protection and promotion had become "more valuable" due to cow smuggling, especially on the Bangladesh border. Self-declared gau rakshaks or squads of cow protectors, have been accused of thrashing people on suspicion of cow slaughter which have inflamed tensions between religions and castes in parts of the country. Asserting that people from communities across religions were associated with cow protection, Mr Bhagwat said many Muslims involved in cow promotion had told him that a "nefarious campaign" was being run to create tension among the people of different religions in India. "The legal and virtuous work of cow protection and cow promotion will go on in the interest of the people and will increase in the coming days. It will also be the apt answer to the situation," the RSS chief said.